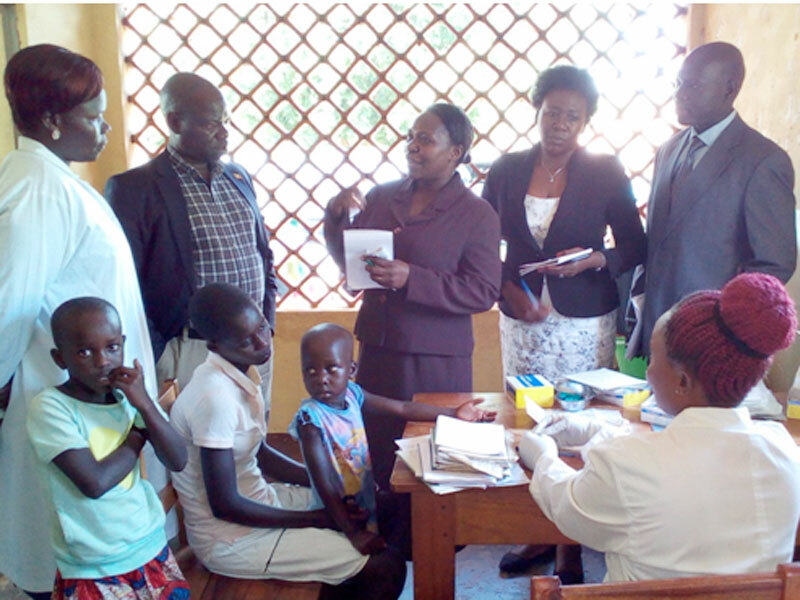 Minister Namuyangu talks to in-charge of Bardege Health Centre III as MP Komakech (second-left) listens. Irene Abalo. GULU. Minister Jennifer Namuyangu has appealed for concerned authorities to train more women architects who can design maternity and labour wards with the hindsight and experience of a mother. The State Minister for Local Government and other officials were on Tuesday touring infrastructure facilities in Gulu municipality. During that tour an on-spot check of Layibi Techo Health Centre III brought out the most of the woman and mother in the minister appalling state of sanitation at a health centre saw her declare it had not been designed with the benefit of an expectant mother in mind. Only the first Local Government minister to visit the municipality since Bidandi Ssali in 1999, Namuyangu started her day in jovial mood, bringing out the most of her humility to meet the locals. Despite not knowing the Luo language spoken by the locals, the minister navigated her tongue around in communicating at every point of visit, especially with mothers in the maternity ward at Bardege Health Centre III. But it was at Layibi Techo Health Centre III that Namuyangu played pseudo health minister on finding out that essential supplies such as drugs were critically lacking. The floor of the maternity ward at the health center is dilapidated and the midwives used buckets to dispose of waste after delivering mothers instead of a soak pit. “How can you design a maternity ward like this? Look at the labour suite… I think this is not proper,” said Gulu Woman MP Betty Aol Ocan. 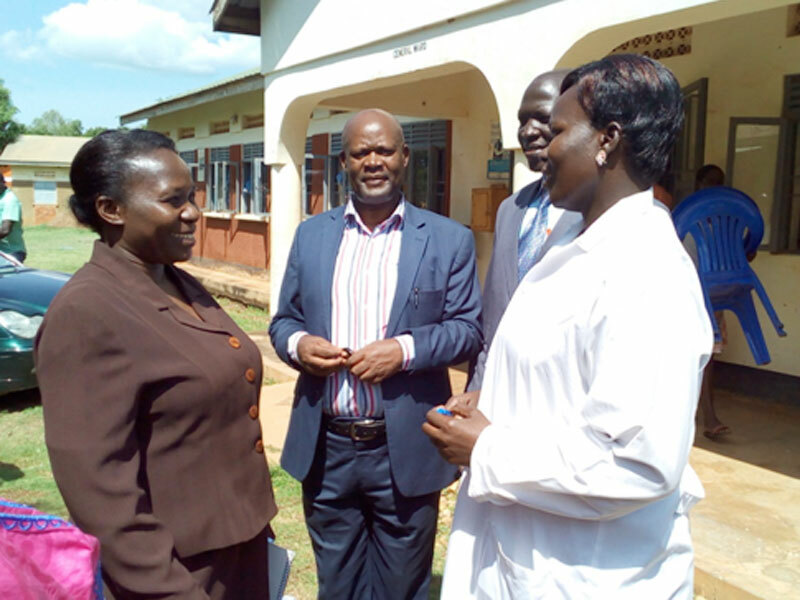 Minister Namuyangu (L) chats with Aceng (R) on the state of health service delivery at the health centre as the town clerk looks on. Irene Abalo. Namuyangu promptly took up from Aol, challenging the Government to train female architects to design facilities like the labour wards to meet the needs of expectant mothers. “We need to have female designers for this because they know what women go through during labour. The beds alone are too high,” Namuyangu said. Over the last three months, LayibiTecho Health Centre III has received over 4,716 patients with 41 deliveries. Namuyangu appealed to the local leaders to work with the technocrats regardless of their political affiliations to achieve the Sustainable Development Goal and Vision 2020 for Uganda in health service delivery. She also challenged Gulu municipal leadership and technocrats to professionalise service delivery in maternal health to reduce maternal mortality. Statistics from the UN Children’s Fund (Unicef) shows that 16 women die every day while giving birth. The minister also inspected eight of the 17 roads constructed under Infrastructure Development to Municipalities, a project funded by the World Bank. She also toured a diary corporation of women farmers in Bardege Division and a fish farming project funded under the youth livelihood programme. Minister Namuyangu leaves the laboratory at Bardege Health Centre III. She tasked the leaders to source for better equipment for the laboratory. Irene Abalo. Namuyangu noted that the division health centres need more funding in maternal health department that lacked soak pits for labour wards. The health centres also have only one midwife working for 24 hours instead of the required three, with three nursing assistants. “The town clerk and the division chairpersons should look into this and recruit qualified midwives because we do not want to risk the lives of mothers,” she said. Judith Aceng, in-charge of Bardege Health Centre III, said they receive more than 100 patients in need of laboratory service daily, adding that the facility is using an improvised laboratory which does not match the standard setting of a health centre. The lab technician, Annet Nasolo, was found using RDT for rapid diagnosis of malaria due to large number of people at the facility at the time. She told the minister that her work has been hampered by lack of equipment and that she was overwhelmed by the number of patients. Bardege Health Centre III employs 16 people, including support staff—a shortfall of three to meet the minimu threshold required by the Ministry of Health. Meanwhile, at Layibi Techo Health Centre III, malaria drugs had run out of stock. 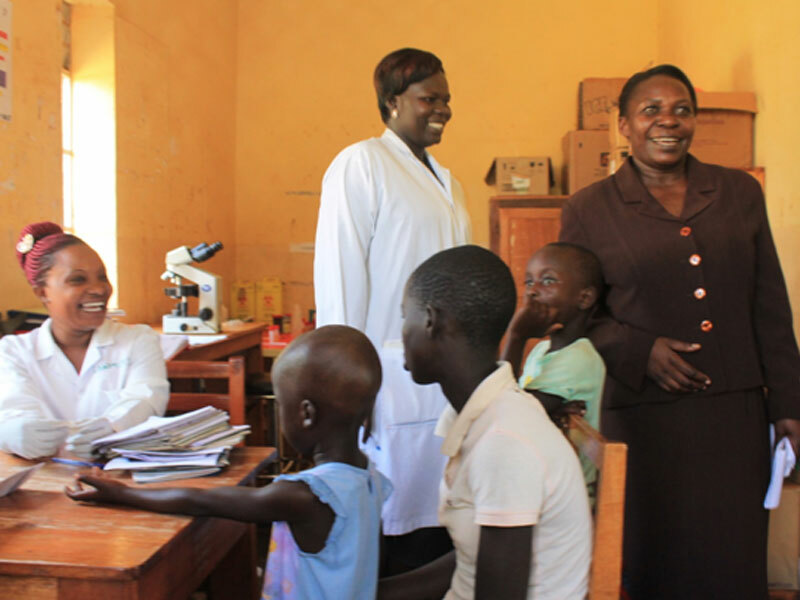 “Our next supply is by June 28 but we have no cortem (an anti-malarial drug) to prescribe to patients,” Mary Stella Ayaa, In-charge of the facility, told MPs Aol and Lyandro Komakech of Gulu Municipality. This forced Komakech and Aol to raise about Shs150,000 to have cortem (an anti-malarial drug) procured from Gulu town for Layibi Techo Health Centre III. The legislator said malaria has been a challenge to the region because the use of treated mosquito nets has not been adhered to. He called for continuous awareness campaigns by the grassroots leaders to enable people value the important of sleeping under bed nets.